This past week we were off to the races! 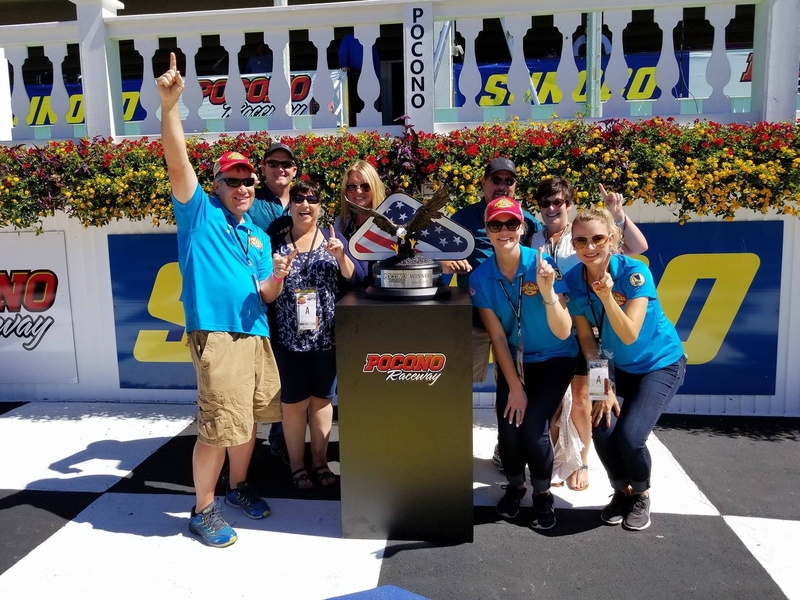 I had been on vacation the week before and met up with the team at the beginning of the week in Pittsburgh, PA. From there, we made our way to Long Pond, PA for the Overton’s 400 NASCAR race at Pocono Raceway. I had never been to a NASCAR race before (neither had Jess), so I had no idea what to expect! I will say it was quite an experience and one that I will never forget. Upon arrival to the raceway, we were taken on a tour by the wonderful staff at Pocono raceway- shout out to Eric and Sash! They took us up to the skybox where we could see an amazing view of the whole racetrack. They call Pocono raceway the “tricky triangle” because there are only three turns compared to the usual four. Each turn is also unique and has a different turn radius than the others, making it that much more challenging. It’s also over two miles long and one of the longest tracks in America! 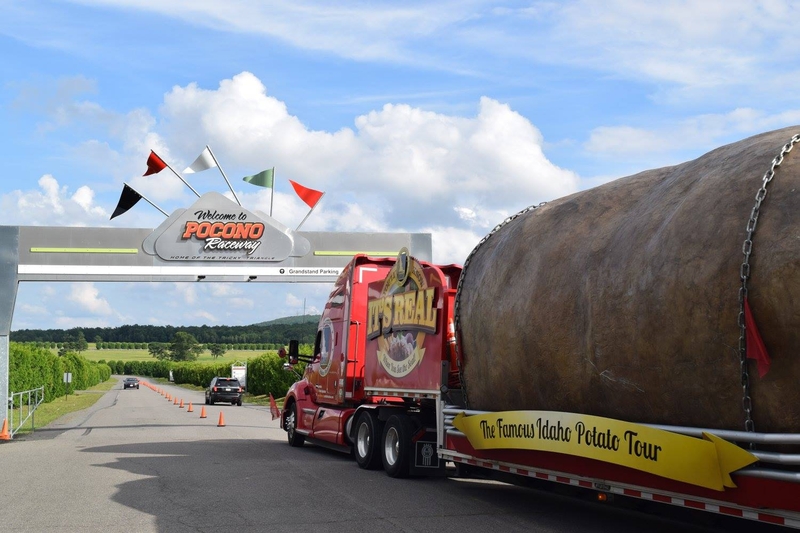 The #bigidahopotato arriving to Pocono Raceway! Not only did we get the backstage tour, but we also got to take the potato for a spin on the track the next day! 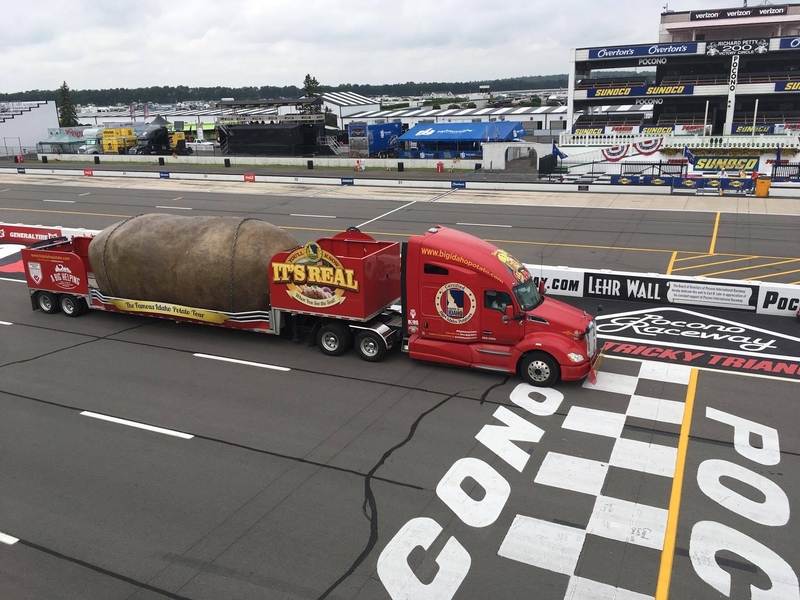 Larry got to drive the truck two laps around the track, and was the fastest potato to cross the finish in Pocono history! It was an amazing sight to see and Larry’s smile was the biggest I’ve ever seen. 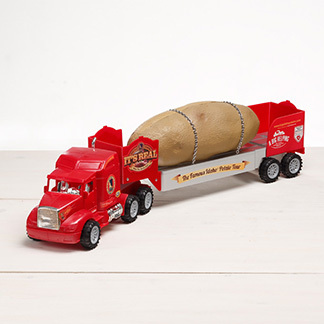 The staff also said the potato was one of the most interesting things they’ve ever had on the track! The head of the raceway, Mary Louis, even came out to watch the potato make it’s debut. Check out our album on Facebook to see all of the amazing photos! 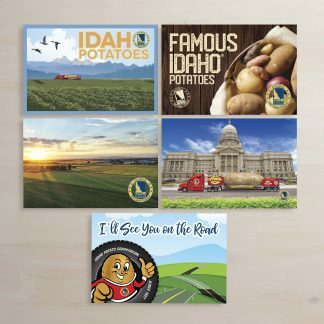 That night, we also met up with Idaho Potato Commissioner James and wife Darla from Idaho Falls, as well as Dan and wife Collette from Idahoan. 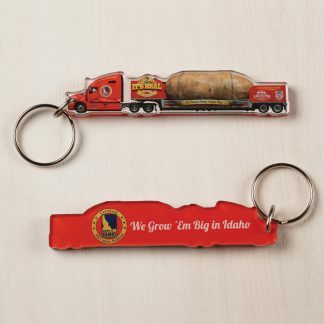 We enjoyed dinner at Kalahari Resort and ordered what you can only guess- all things Idaho potatoes! It was a great evening getting to know everyone. The potato making turn #3! 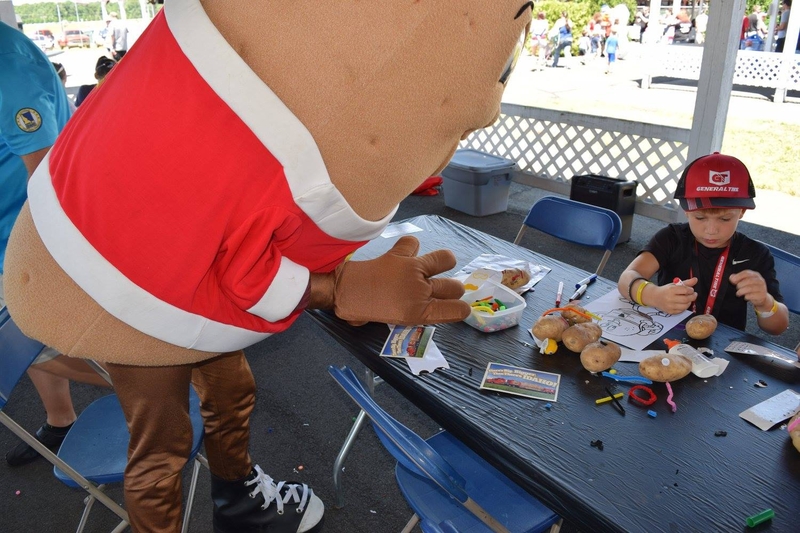 The day before the big race was “kids day” where we had Idaho potato decorating for the children! The commissioners as well as our PR coordinator Sue Kennedy and family also attended the event with the team. We had multiple tables for decorating and coloring, and Spuddy Buddy was also there to entertain the families. It was a fun-filled day and our booth was a big hit with the families. Spuddy Buddy helping with potato decorating! On Sunday it was finally race day! We arrived to the track pretty early, and were surprised by Sash (our event contact at Pocono) that we were going to see inside the garage!! In the garage, we got to see all of the NASCAR cars before the race. It was very interesting to see the cars being measured and tested before the start. We even saw Dale Earnhardt Jr’s car up close and personal! It was an honor especially since it was his last run at Pocono. After our surprise, we headed out to the track to watch Larry and Dan ride in a pace car! While we waited for their run, we got offered to ride in one as well which was a complete shock! 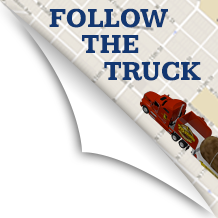 Check out our Facebook live to see the whole thing unfold. It was amazing/scary going around the track at 100 mph (especially around the curves) and I couldn’t imagine going over 200 mph! The whole team including Idaho Potato Commissioners on race day! Once we got over the shock to our systems, we headed back to our booth in the fan area! We had a signature board that day for Shriners Hospitals for Children. Their mission is to provide care to children with injuries and special healthcare needs, provide education to the public and healthcare professionals, and conduct research. We had so many signatures that day that we filled up TWO signature boards! It was the most signatures I’ve ever seen, and it was all thanks to the wonderful volunteers that worked beside us. Shout out to Harry, Sharon, Fred, Lynn for being absolutely wonderful! We had an amazing day working with them and they taught us so much about Shriners. This week was full of firsts, surprises, and of course fun! 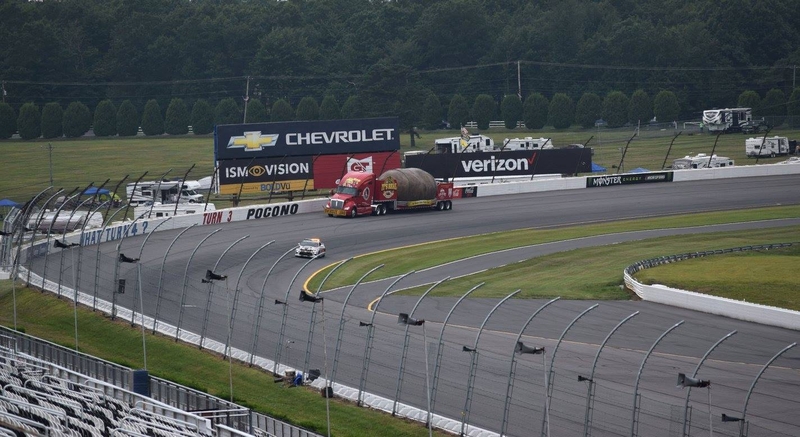 The potato really made it’s mark at Pocono and we’d like to give a big thanks to the staff at Pocono Raceway, Shriners Hospital, and the Idaho Potato Commissioners who made this weekend a success!